Hiring a good lawn fertilization service can make a big difference in a homeowner’s daily life, as well as the health and beauty of their lawn. The National Gardening Association says that 27 million American households bring in professional landscapers. That’s a big number. 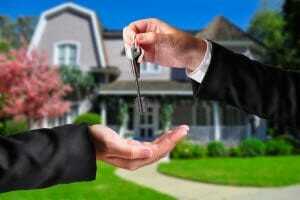 However, finding a trustworthy company to take over lawn care for you can be a difficult process. Your neighbors, friends, and family likely have plenty of advice to share with you. It seems like everyone runs through a crappy company or two before they fall in love with a landscaper. The good news is that review websites and online forums make it easy to read up on landscaping companies before you make a selection. It’s worth it to seek reviews and ratings, and to see whether a company is accredited or affiliated with reputable associations. A thorough search for a good lawn fertilization service is worth it. It puts more time back into your schedule. In fact, it could add up to several hours every week that you can have back to spend time with family, pursue hobbies, or just spend lying in your hammock, enjoying your beautiful backyard landscape. It removes any guesswork in maintaining the health and appearance of your lawn. Many do-it-yourself types don’t really know the best times to dethatch, aerate, overseed, or fertilize their lawn. They don’t know how much fertilizer is too much or too little. They don’t know which products are ideal for their turf type. Hiring a professional means that all of these tasks and more are performed correctly and at just the right times. It can increase your property value. If you ever decide to put your home on the market, your front landscaping contributes to potential buyers’ first impression of the property. Having a lush lawn can increase the selling price as well as the speed at which the home sells. These are just a few of the many advantages of hiring a good lawn fertilization service. Here in the Atlanta area, it really is possible to enjoy a plush, green lawn year-round. There are a few key steps to keeping grass healthy through the cooler months, and a good lawn care company can help you achieve it. Imagine no longer guessing at when you should aerate and fertilize your grass. No extra products taking up space in the garage after you discover that they don’t work. No more weekends spent toiling at backbreaking work just to achieve disappointing results. Connecting with the right lawn fertilization service can eliminate all of this for you, so you can enjoy your life. Are you in the process of choosing an Atlanta-area lawn fertilization service to keep your grass looking good? 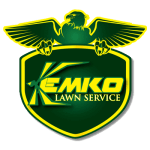 Kemko Lawn & Shrub is a family-owned company that’s been serving Atlanta homeowners for over 30 years. We know the local turf types inside and out, and we shift the EPA-approved products we use as the seasons change. For an honest local company tyou can trust with your grass, look no further than Kemko. If you have questions about good lawn fertilization service, click here to read our helpful FAQ list.